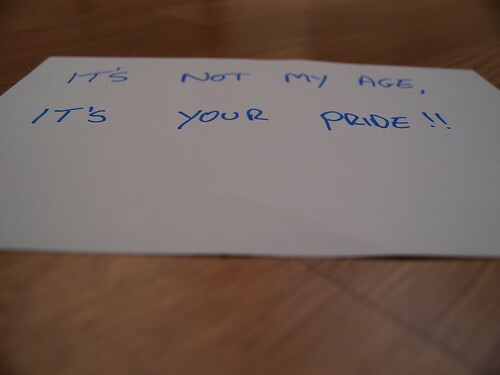 It’s Not My Age, originally uploaded by thehutch. One of the most difficult things for older leaders is the ability to allow younger leaders space to grow and develop. I think that this has as much to do with pride as anything.